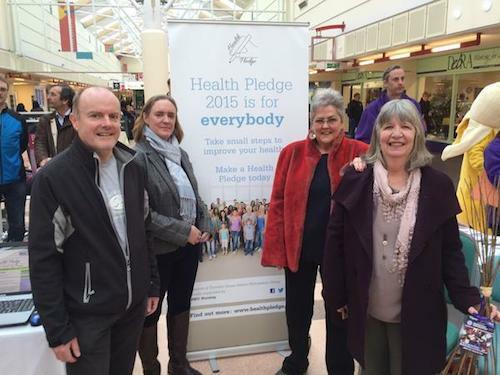 Meet the Health Pledge team Dominic, Jacqui, Ingrid & Marilyn who have worked tirelessly to help launch Health Pledge in Hyde on 22nd November 2014. 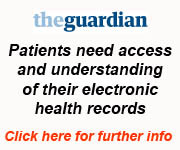 You can find out more about it by going to www.healthpledge.co.uk. Click on the links below to find out more! Listen to the current Civic Mayor of Tameside Dawson Lane talk about what Health Pledge means for the people of Tameside and why he feels passionately about it and to bring others in. Listen to his Health Pledge too! Listen to Professor Sir John Oldham describe why it is essential for everybody who loves the NHS to look after it by taking greater responsibility for their own health and in so doing help to secure the NHS for future generations. Listen to his Health Pledge too! Listen to Dr Hannan talk about the challenges we face in Tameside & Glossop with the highest level of heart disease in the country and high levels of loneliness in the community but Health Pledge has come from here by the people in Hyde to show how we can make a difference by making a small change ourself and in so doing make a bigger change for the community more widely as we become role models for each other and be the difference. Listen to his Health Pledge too! Listen to the songs that were played by Tameside Voices. Due to unforeseen circumstances, the camera is not pointed at the choir until later and hence sound quality was not as good as we would have liked for first 3 songs. But the songs were so beautifully sung that we can still cherish them. 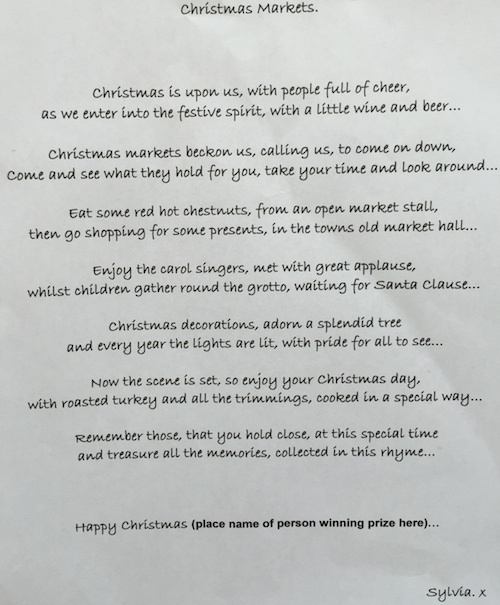 Here is Sylvia present a poem entitled Christmas Markets which she has written to raise funds for Dementia. Listen to Ingrid Brindle read out the poem to the audience. This is Health. Listen to Ingrid Brindle bring the proceedings to a close by thanking everybody who took part and helped to make Health Pledge a success. 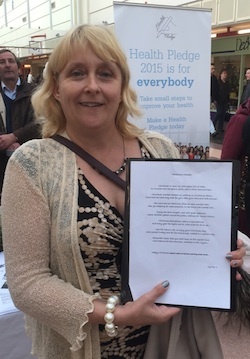 It's over to you now to make a health pledge and make a difference for you and those around you. Please come back soon to watch more videos of the event as we upload them to the net for all to see! Please remember to make a pledge today and invite others to do the same!